This course will start in September 2019 and runs for one year. Two GCSEs at grade 3/D or above in English and maths or Level 1 Certificate in Culinary Skills or equivalent. Culinary Skills and Hospitality Service Level 2 will suit you if you are new to the catering industry. This course gives you an initial insight and introduction into culinary skills, customer care and quality service. This course is for those interested in the hospitality and catering industry where you will be introduced to professional cookery skills in stove, larder and Patisserie. 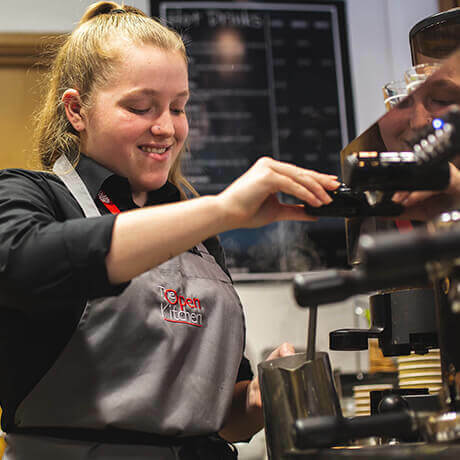 You will also be introduced to front of house skills including customer care and food and beverage service, as well as studying subjects such as food safety and healthy eating. Employment- On successful completion of this programme the qualification will enhance your prospects for employment within areas of the hospitality and catering. The skills you acquire could provide the foundations for a job within a kitchen, restaurant or bar.